1. 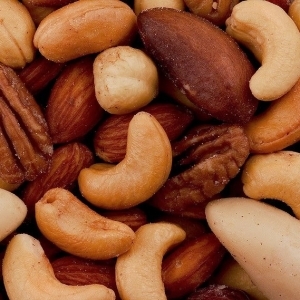 Place cashews or almonds into a blender. Add 1 cup of water and blend until very smooth and creamy. 2. Add all remaining ingredients except water and continue blending. 3. In a saucepan, bring 2 cups of water to a boil. 4. Add blended mixture to boiling water and stir constantly while bringing to a second boil. Remove from heat. Serve hot over vegetables or use as a sauce for creamed noodles or creamed soups, etc. If you want to make a plain white sauce, just omit the seasonings.